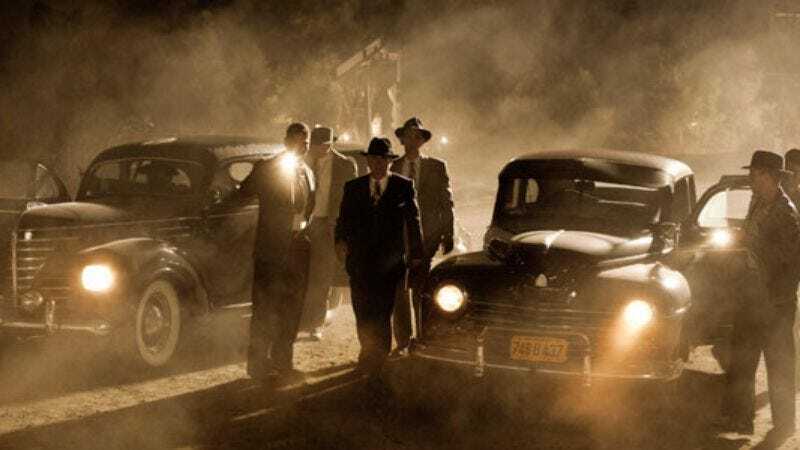 Since it was first announced, Frank Darabont’s new TNT pilot L.A. Noir has been saddled with jokes about it being related to the video game L.A. Noire, simply because the two share similar time periods, locales, dramatic milieus, character archetypes, cultural references, and titles. Anyway, that should all mostly be cleared up now, seeing as Darabont tells io9 that he’s changed his mind, no longer borrowing the title of John Buntin’s book L.A. Noir that involuntarily conjures images of 1940s detectives slowly vibrating their way through Los Angeles, always on the lookout for clues they can tap thoughtfully in their notebooks.